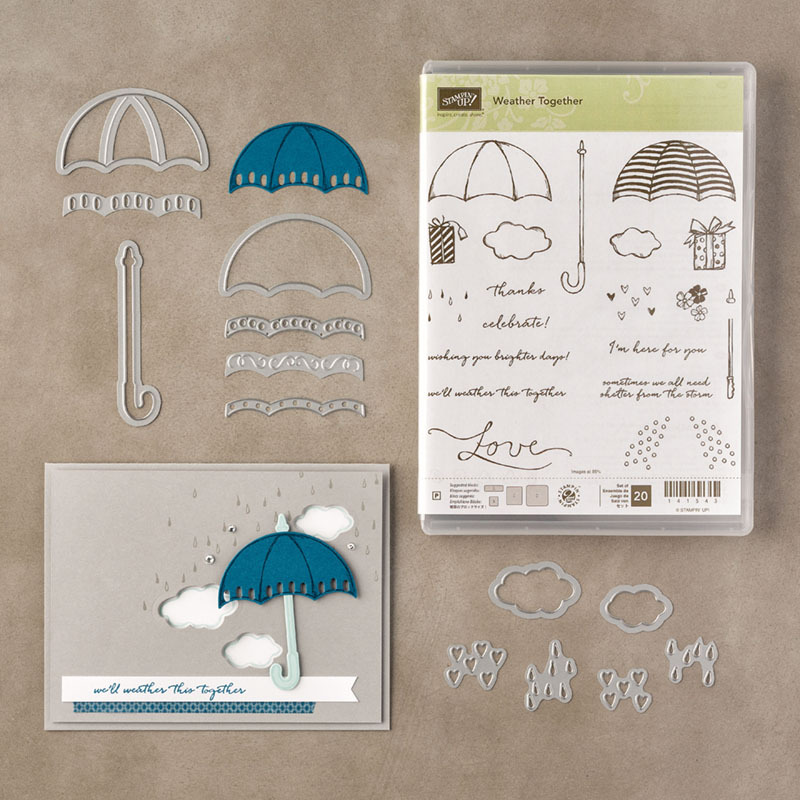 Karina's Kreations: Stampin'Up Weather Together! 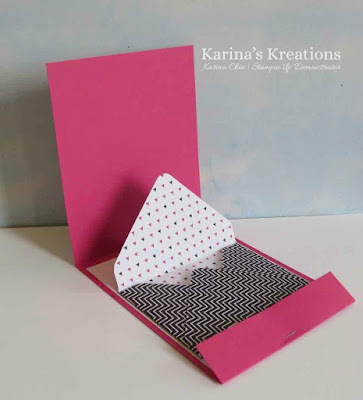 I made a match book style card today that holds a gift card holder using the Weather Together stamp set and coordinating Umbrella Weather Fraemlits. You can buy these as a bundle and save 10% #142319. The base of the Melon Mambo card is 4-1/4" x 11" scores at 3/4" and 6". When you add your staple, make sure it's low and close to the score line. I used Pop of Pink Specialty Designer Paper #141648 4" x 4-3/4" on the front of my card and 5-1/2" x 5-1/2" for the envelope on the inside of the card. The inside gift card envelope was made with the Envelope Punch Board #133774 and the 2-3/8" score line. I also used the Layering Circle Framelits#141705 on my card. Click this link to place an online order!